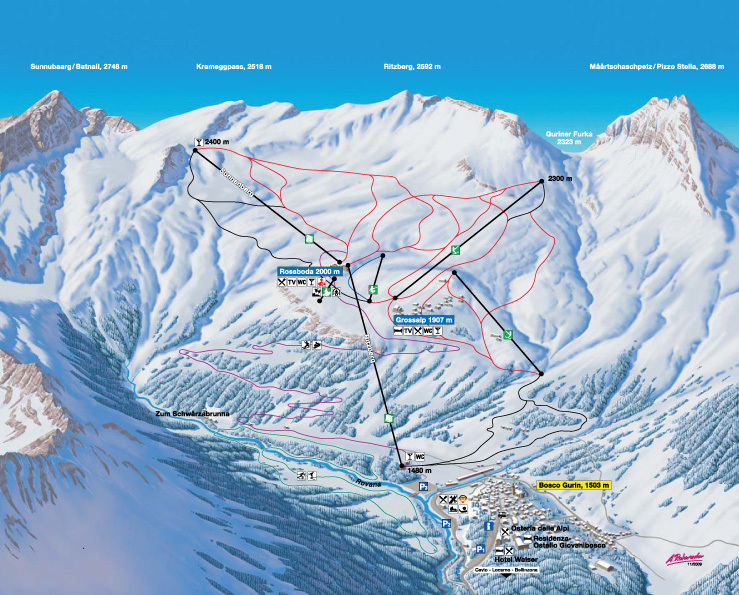 Enjoy your winter holiday in Bosco-Gurin with about 30 km slopes, 4 tobaggon runs, a Kid`s Village as well as a snowpark. Explore the snow shoe trails and have an amazing view in 2400 m height. The offer of sports contains also ice skating and ski touring.